When most people search for life insurance with history of heart disease on the internet, they are referring to coronary artery disease, or CAD. However, there are multiple types of heart disease that may affect the heart muscle, valves, electrical system, as well as your arteries and veins, and more. Regardless of the type of cardiac disease you’ve had, we at Huntley Wealth Insurance are the experts at finding affordable term and whole life policies. The purpose of this article is to discuss the various types of cardiac issues people have, and your insurance options for each. In each case, your ability to qualify for life insurance will depend on how your heart disease was (or is) treated, and compliance with prescribed medications and regular check-ups with your cardiologist or attending physician. We’ve had a lot of success insuring our clients with a history of coronary artery disease, which is a condition where the arteries that take blood to the heart harden and become narrow. With blood flow being restricted to the heart, this condition leads to heart attacks, and is the #1 cause of death in America for both men and women. Your ability to secure affordable life insurance with a history of coronary artery disease will depend on several factors. Treatment/Severity – For some people, treatment will be nothing more than a change in diet and adding a blood pressure or cholesterol medication. For others, stenting or bypass surgery may be required. Better offers are available to clients with milder forms of CAD. Early Diagnosis – Was your heart disease caught early or did it lead to a heart attack or angina? The important factor here is whether damage was done to your heart. Degree of Stenosis – A life insurance company will want to know if other vessels were blocked/stenosed, and to what degree. Obviously, the lower percent of blockage, the better for life insurance purposes. 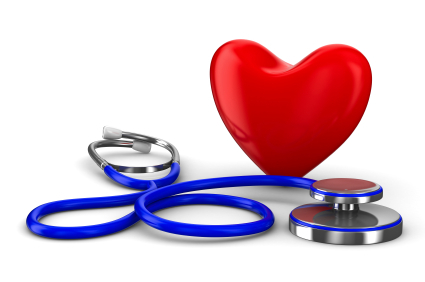 Follow Up – Regular cardiac check ups are a must. Your odds of securing affordable life insurance will increase dramatically if you’ve had favorable cardiac testing, such as a stress echo test, echocardiogram (EKG), EBCT or angiography. Other Risk Factors – Some risk factors associated with coronary artery disease, and just about any type of heart disease for that matter, are high blood pressure, high cholesterol, being overweight, smoking, lack of exercise, and diabetes. When you compound your history of heart disease with these risk factors, you are much less likely to qualify for life insurance. We have also obtained excellent life insurance offers for people with valve disease and heart diseases affecting the electrical system. As for valve disease, the three main types are stenosis, regurgitation and prolapse. In some cases, you can qualify for coverage with mild cases of valve disease, but most of our clients come to us after having valve replacement surgery or valve repair surgery. After valve surgery, you can expect to be approved in the Standard to Table 5 range, assuming the treatment was successful and no other risk factors exist. You may have a disease affecting the electronic signals in your heart. This may cause your heart to beat too fast or too slowly, or with irregularity. Of these, the most common types we see are atrial fibrillation (or arrhythmia), sinus tachycardia, and sinus bradycardia. Treatment may include medication, a pacemaker, or surgery. Atrial fibrillation is not nearly as problematic as ventricular fibrillation. If the atrial fibrillation has not required hospitalization in the past two years and is under apparent control, you can almost certainly be approved for affordable life insurance with this heart disease. Defibrillator – When a patient has had a more serious history of arrhythmias, sometimes they get a defibrillator implanted in their heart (ICD), which treats life threatening arrhythmias. Anyone with a defibrillator will need to apply for a simplified issue or guaranteed issue policy. Congestive heart failure – It’s not impossible to be approved for traditional term or whole life insurance with congestive heart failure, but depends on the severity how time elapsed since diagnoses. With recent diagnosis and excellent control, (no fluid buildup in lungs, feet, or legs) you may be approved at a substandard rate. Your alternative is to purchase a simplified issue or guaranteed issue policy as explained below, if you can’t qualify for a traditional policy. In some cases, heart disease is just too risky for a traditionally underwritten policy, and you’ll have to go with a simplified issue or guaranteed issue policy. These policies may be available in 10 or 20 year term policies or whole life. In both cases, the death benefit will only pay out return of premium plus a percentage, such as 10 to 20%, during the first 2-3 years, known as a graded death benefit plan. Fidelity Life Association has wonderful graded benefit term and whole life plans. These policies may have five or six medical questions you need to be able to answer no to in order to qualify, in the case of simplified issue. In the case of guaranteed issue, there are no medical questions to qualify. Regardless of your type of condition, Huntley Wealth Insurance offers the most options and most expertise for people who need life insurance with a history of heart disease. Please call us at 877-996-9383 for quotes or use our instant quote form on the right.